A slumping PC business affected Intel’s business during the third quarter, but the company believes brighter days are ahead with its new Core and Atom chips. The company Tuesday reported no growth in revenue or profits during the quarter ending Sept. 28. The company reported a profit of $2.95 billion, compared with $2.97 billion in the same quarter last year. Intel reported earnings per share of $0.58. Quarterly revenue came in at $13.48 billion, compared with $13.46 billion in last year’s third quarter. The consensus estimate from analysts polled by Thomson Reuters was for $13.46 billion. Intel’s earnings came in as expected, and the company had “modest growth in a tough environment,” said Intel’s CEO Brian Krzanich, in a statement. Looking forward, the company hopes for growth through new products, Krzanich said. The company announced fourth-generation Core processors code-named Haswell for PCs and tablets. 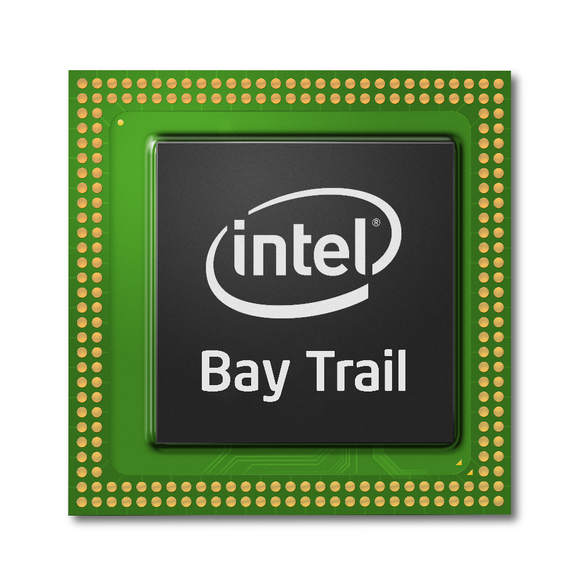 It has also started shipping new Atom tablet processors code-named Bay Trail, which are expected to become available in devices starting this week. Intel has also announced Xeon chips based on the Ivy Bridge microarchitecture for servers. In addition, Intel is also chasing the wearable and embedded sector with the a new chip line called Quark, which consumes less power than Atom chips. The chip was announced at the Intel Developer Forum in September. “Since August we have introduced more than 40 new products for market segments from the Internet-of-Things to data centers, with an increasing focus on ultra-mobile devices,” and hybrids, Krzanich said. Revenue for the PC Client Group was $8.4 billion, down 3.5 percent year-over-year. Growth was primarily driven by Data Center Group, which deals in server equipment, with revenue of $2.9 billion, growing by 12.2 percent. PC shipments during the third calendar quarter fell by 7.6 percent compared with the same quarter last year, according to IDC. Earlier, IDC had projected a 9.5 percent decline shipments during the quarter, but business purchases were stronger, driven by the looming support expiration for Windows XP, coming in April of next year. However IDC expects a weak PC market through the end of next year. Intel is projecting revenue of $13.7 billion, plus or minus $500 million, for the fourth fiscal quarter of this year.